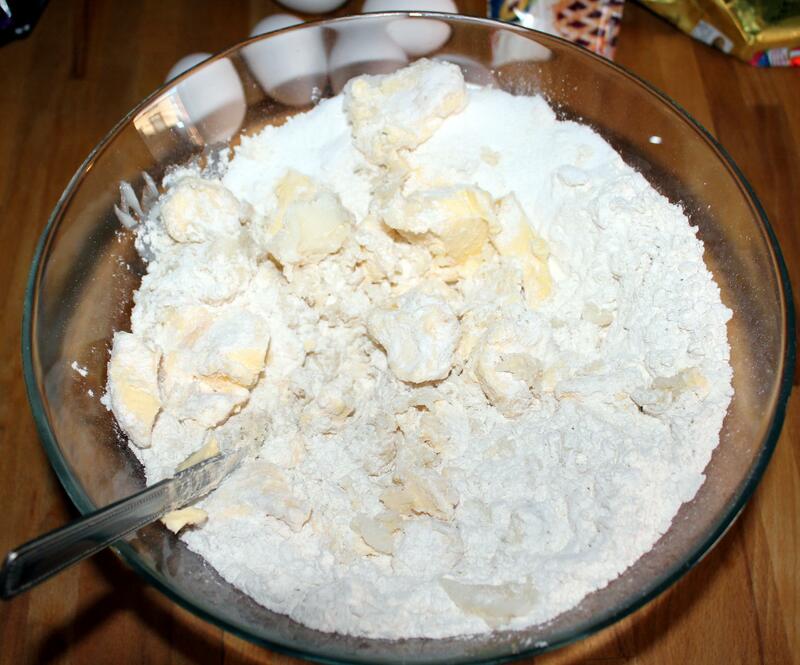 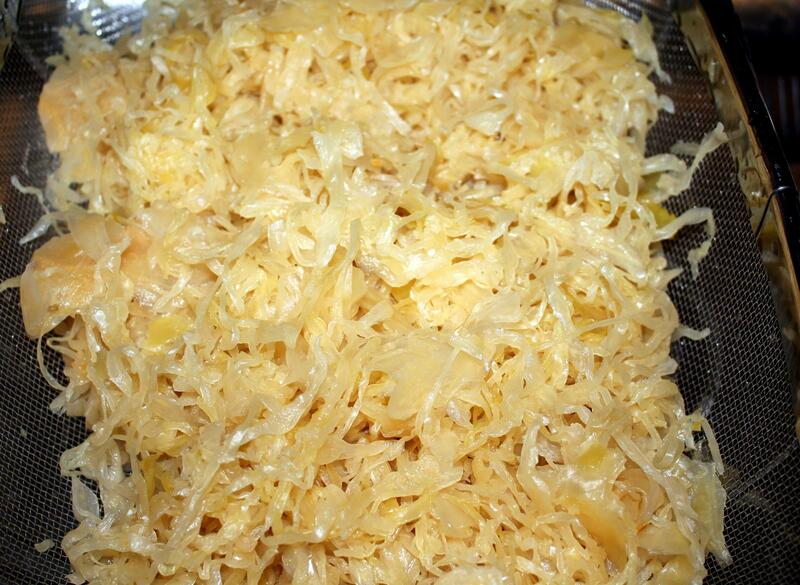 Chop first a flour, sugar, margarine, lard, then eggs. 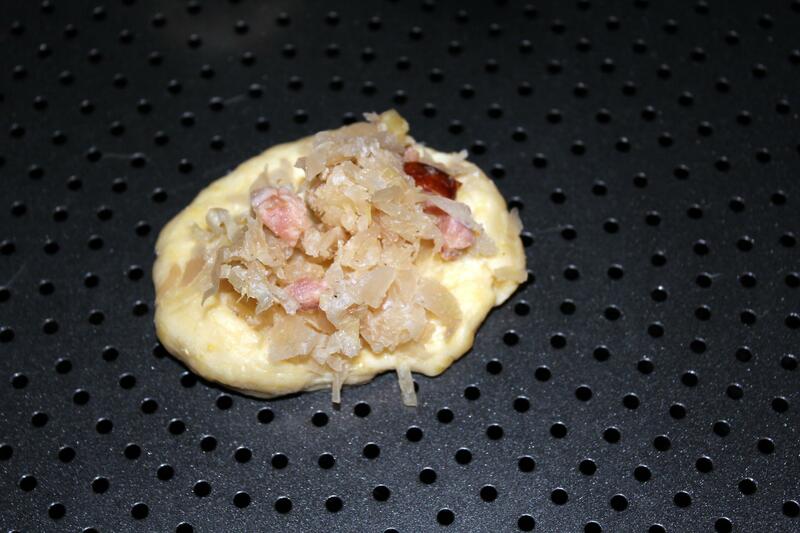 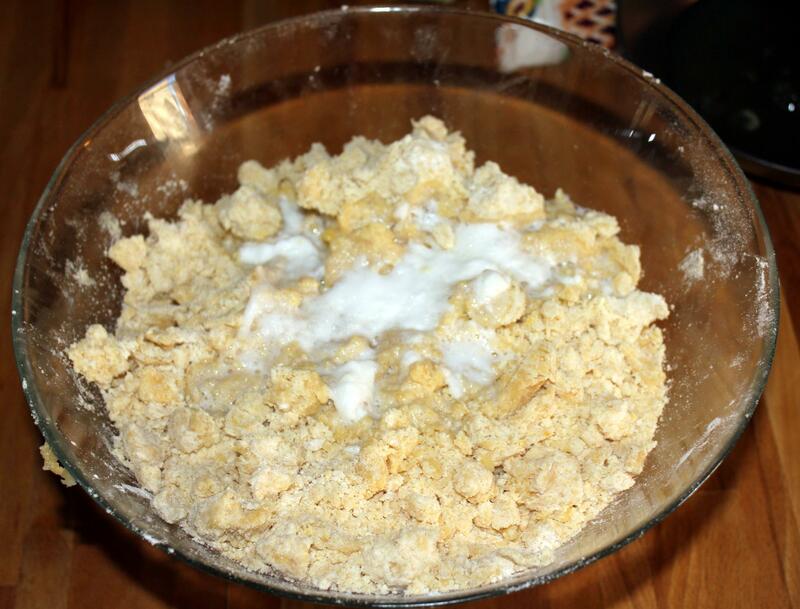 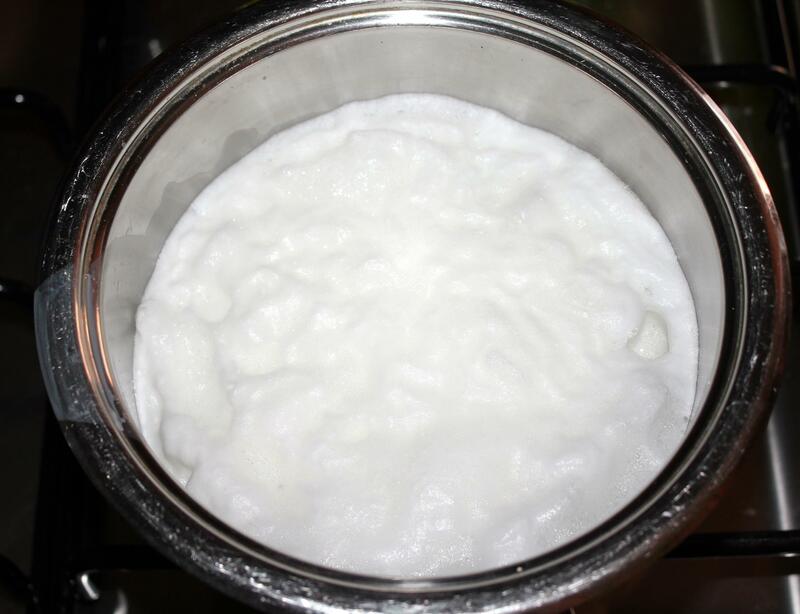 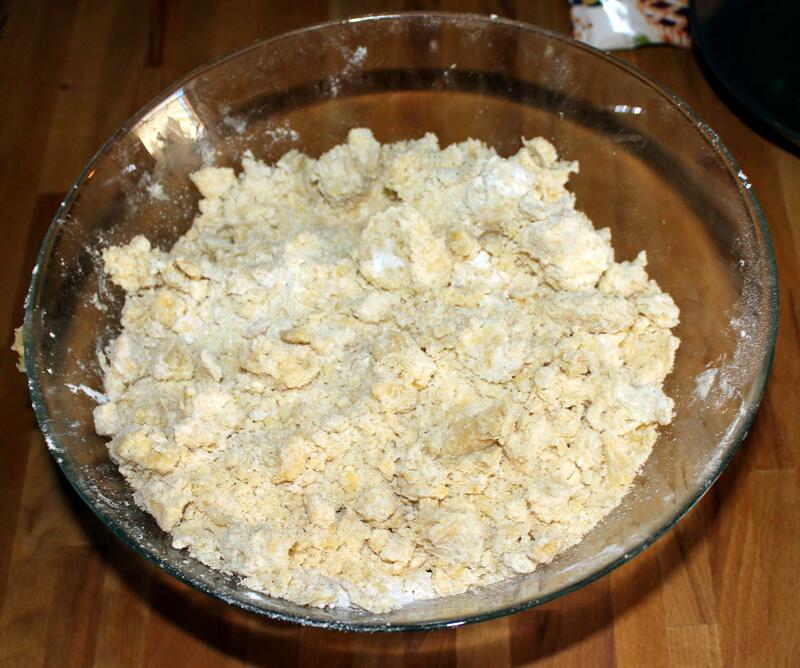 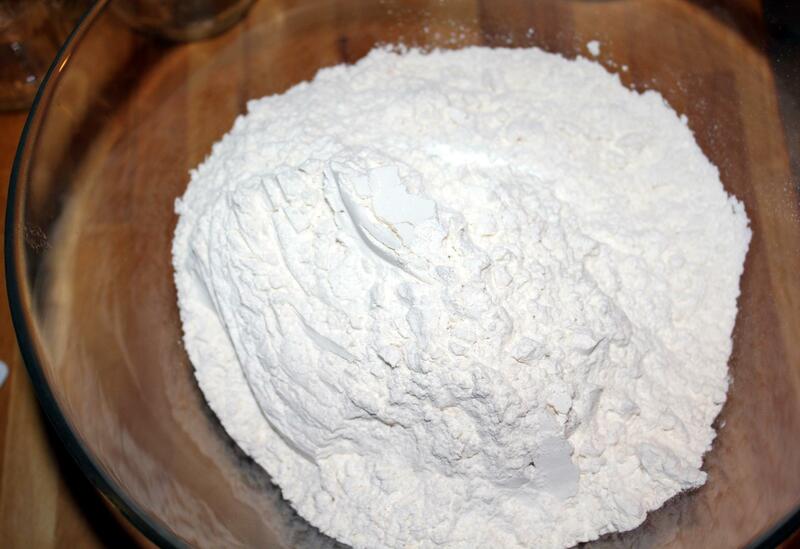 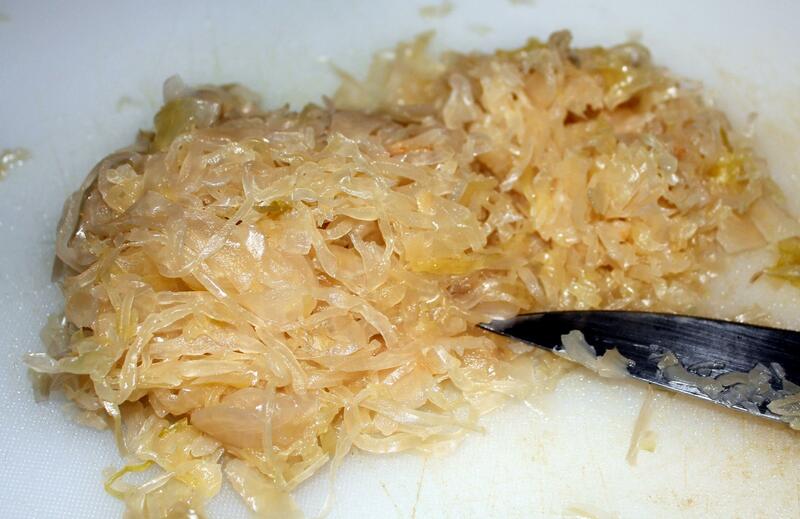 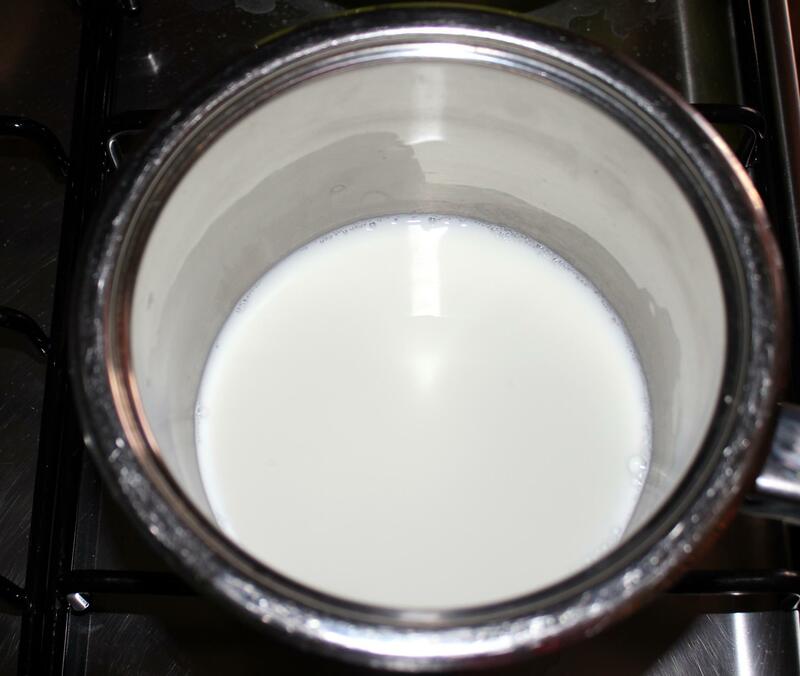 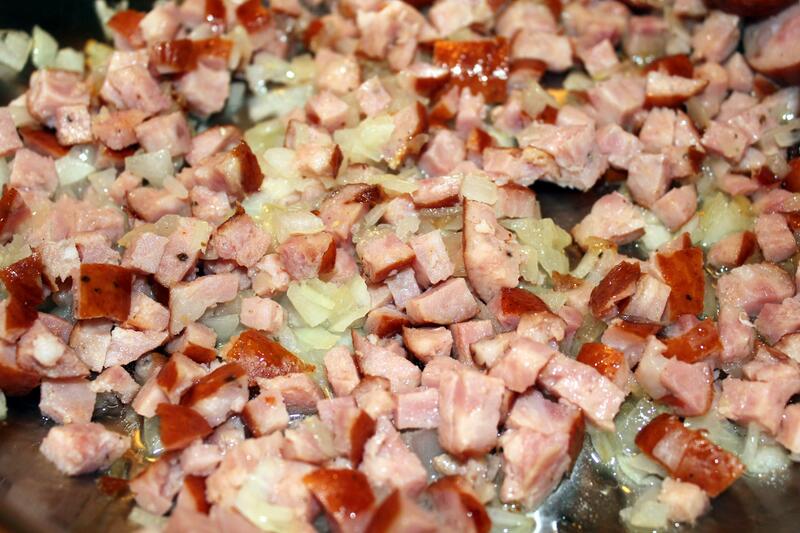 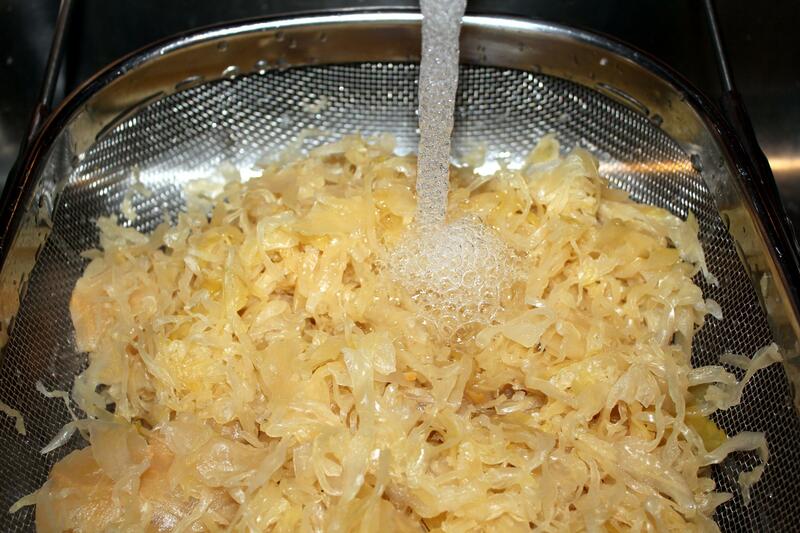 Place ammonia into a large pot and pour in boiling milk, then add this mixture to our dough. 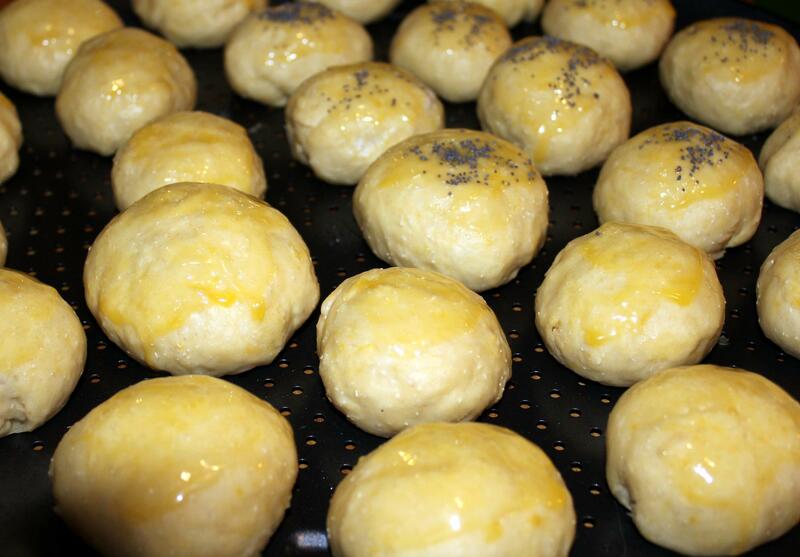 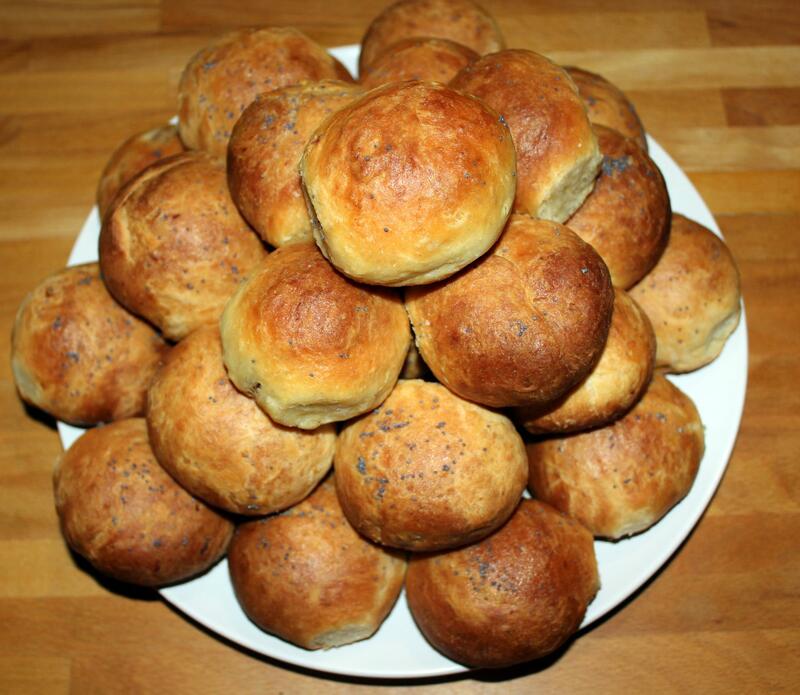 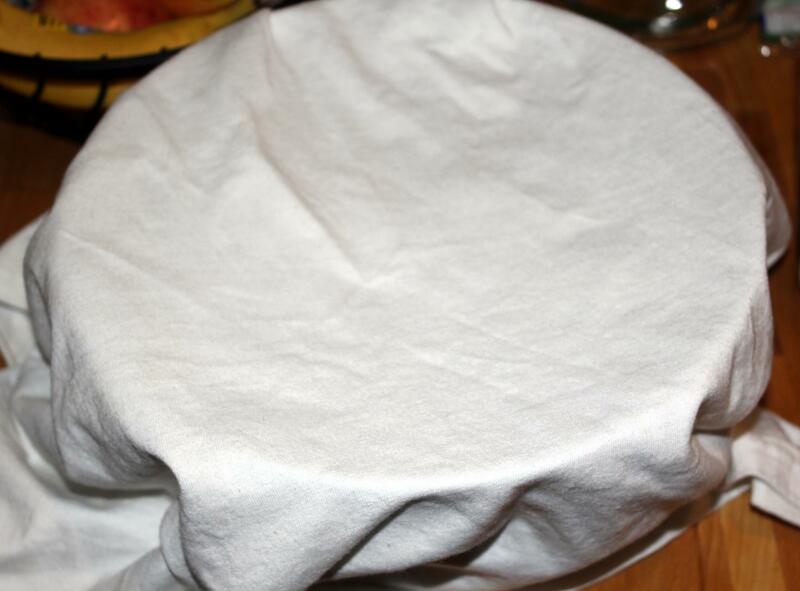 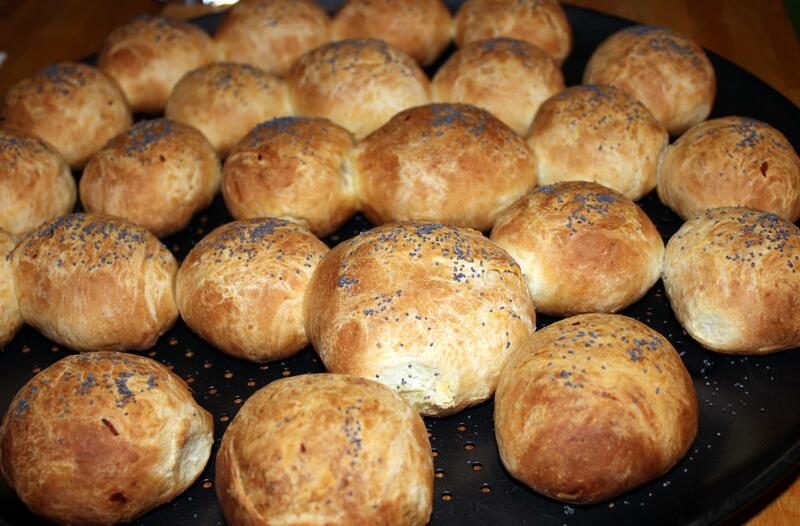 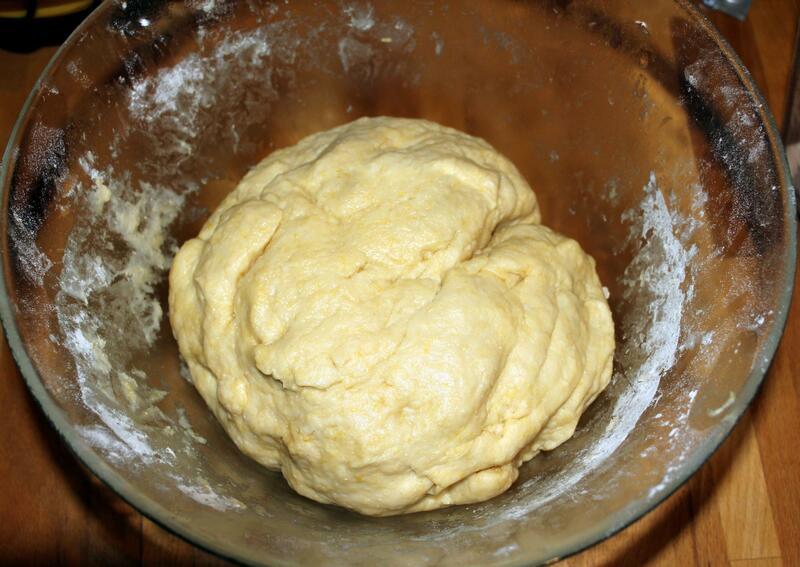 Knead until the dough forms into a ball (long enough to be soft and flexible). 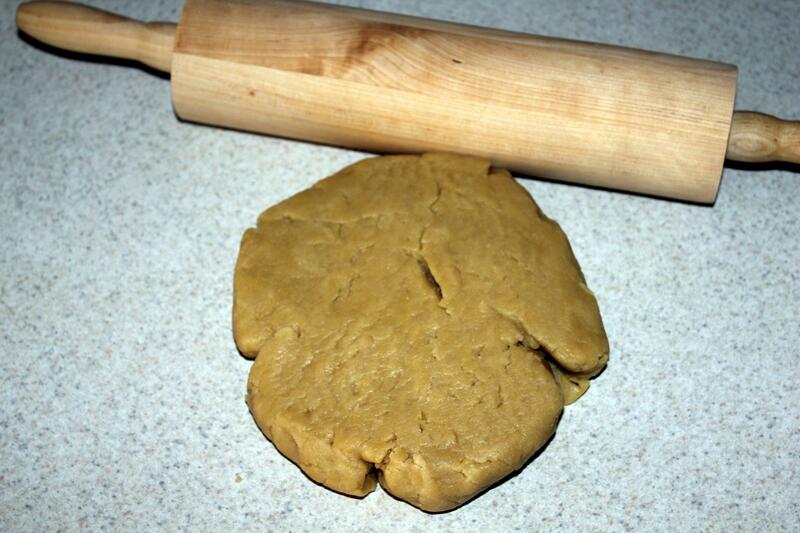 Divide the dough into 3-4 parts. 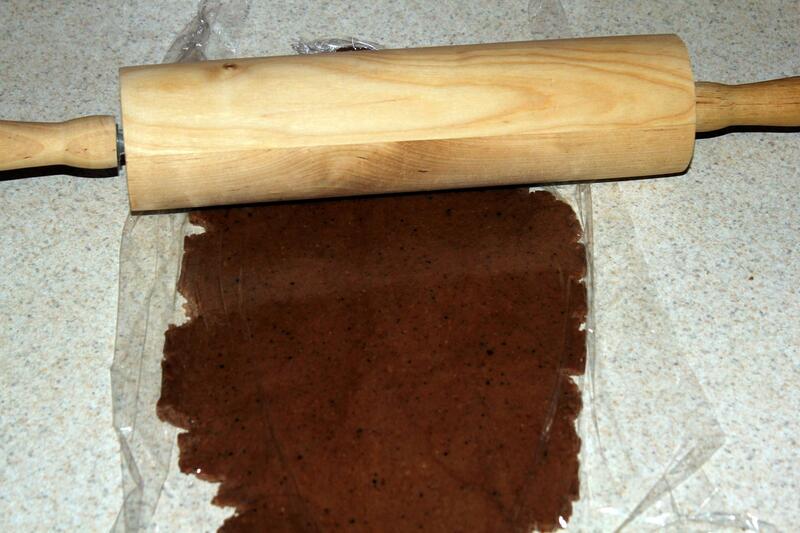 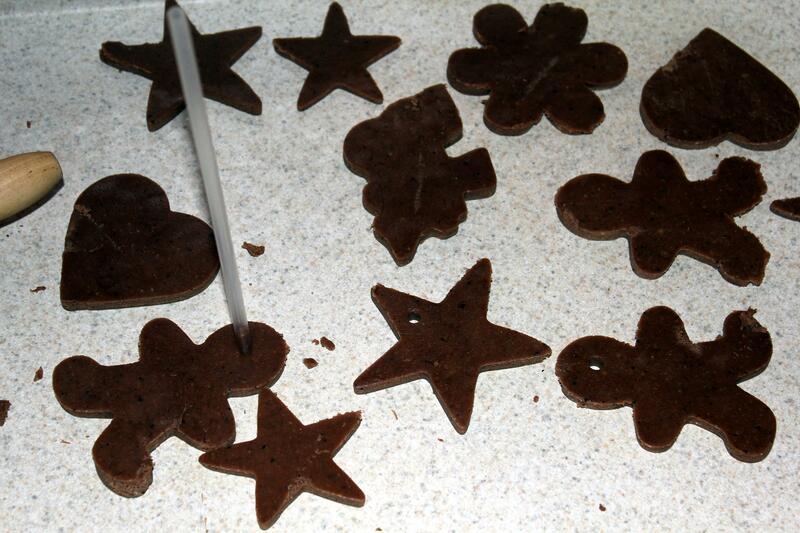 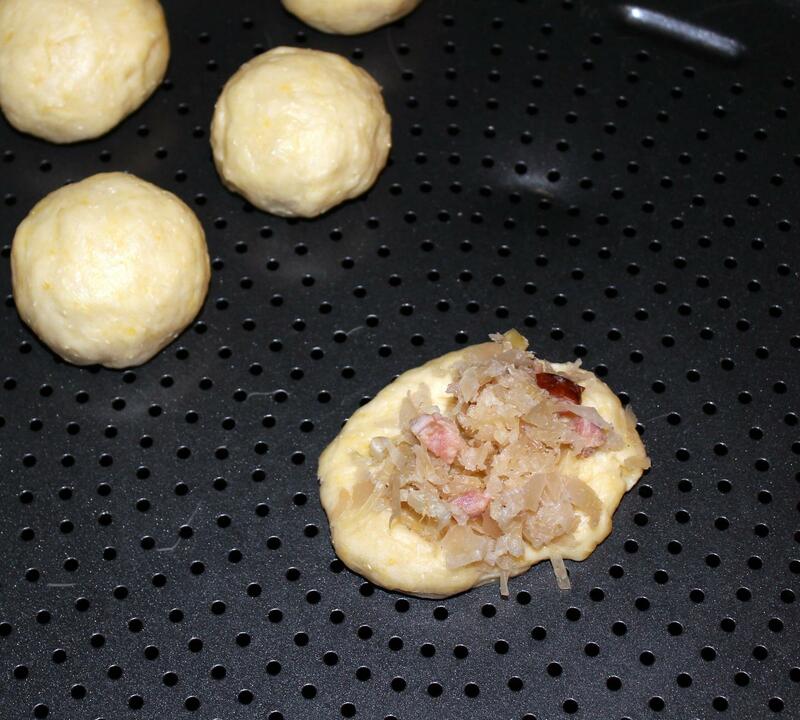 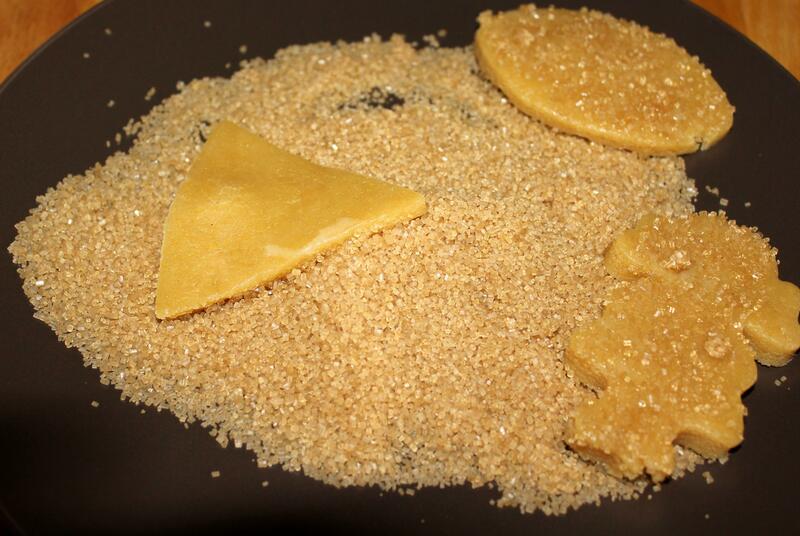 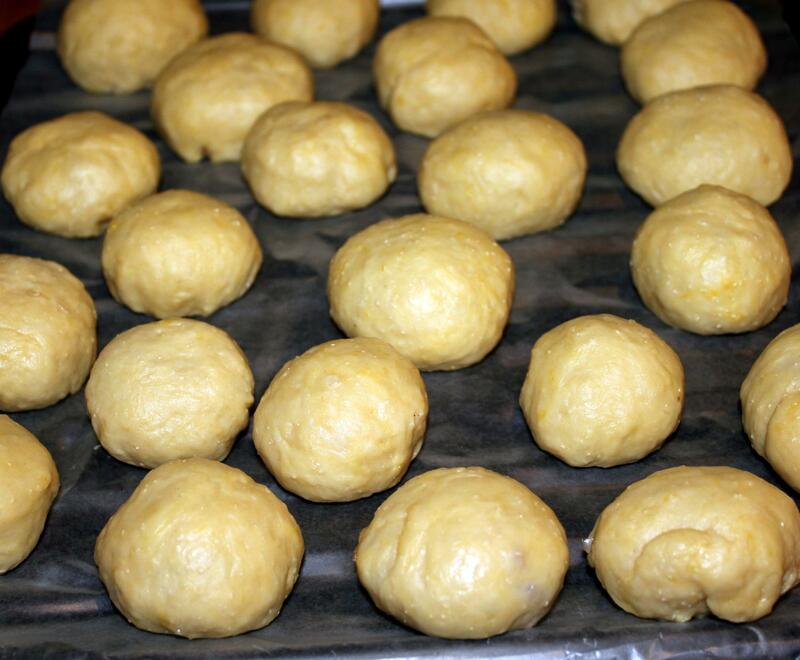 Roll out one part at a time of the dough to a thickness of 5 mm (not thinner), cut out different shapes of cookies. 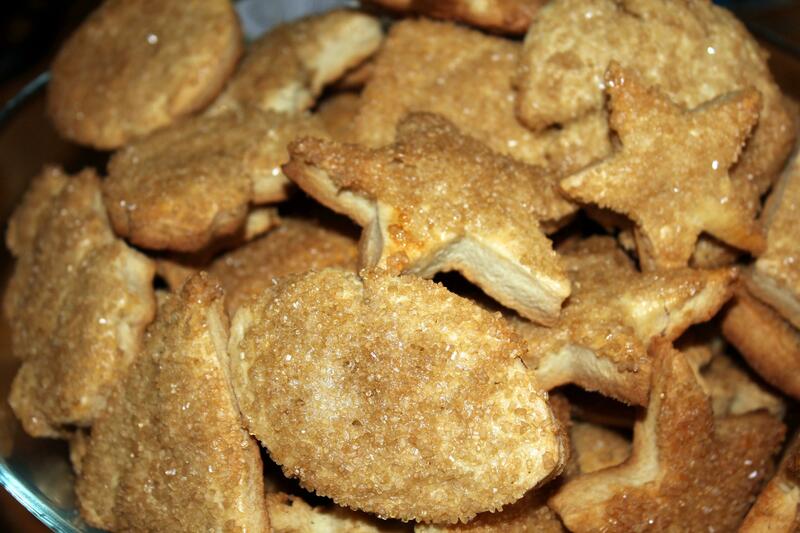 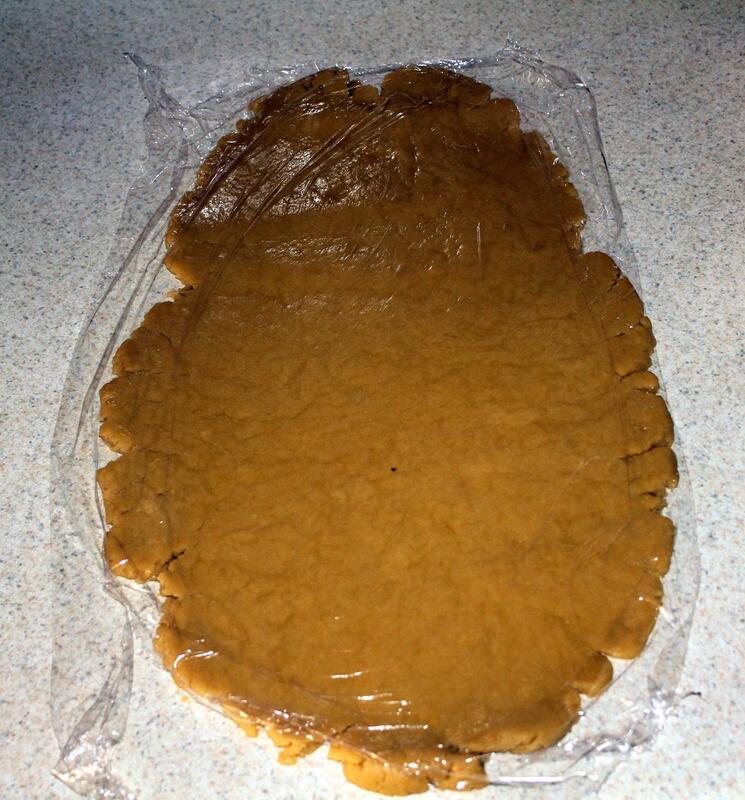 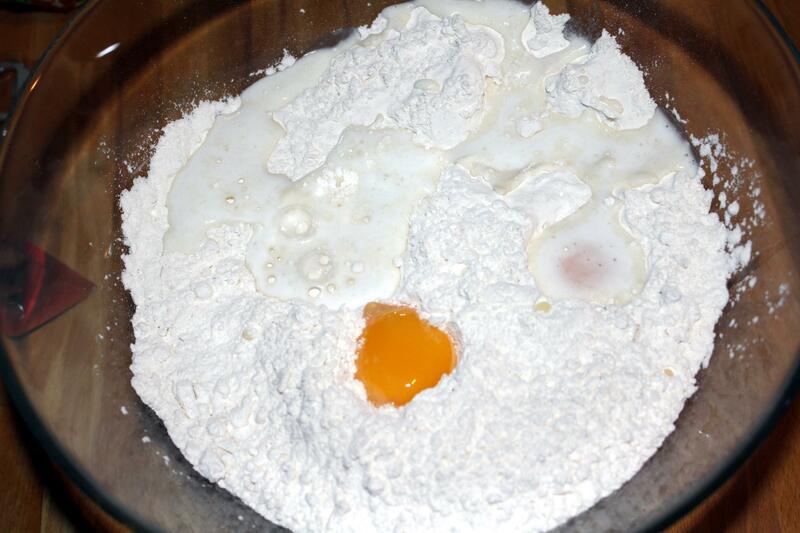 Before baking spread one side of the cookie with the little beaten white eggs and touch in raw brown sugar. 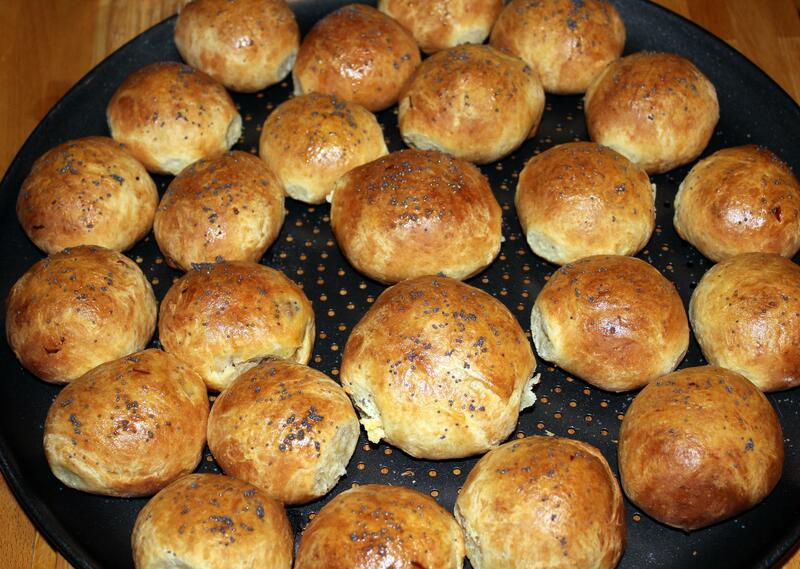 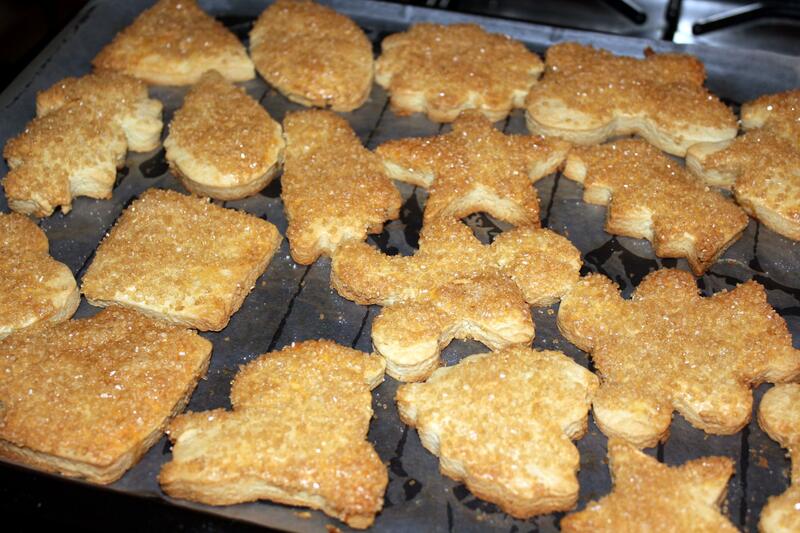 Arrange them on a baking tray lined with baking paper in small increments. 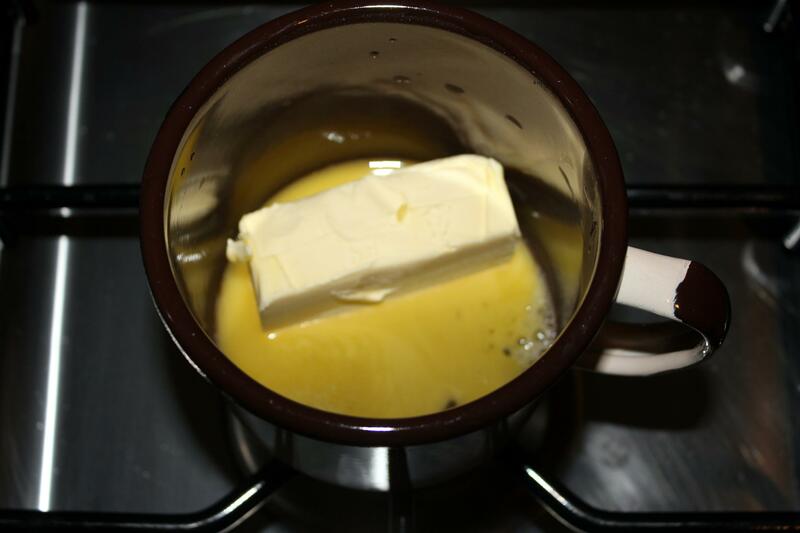 Bake at 392 ° F for about 20 minutes, until golden brown. 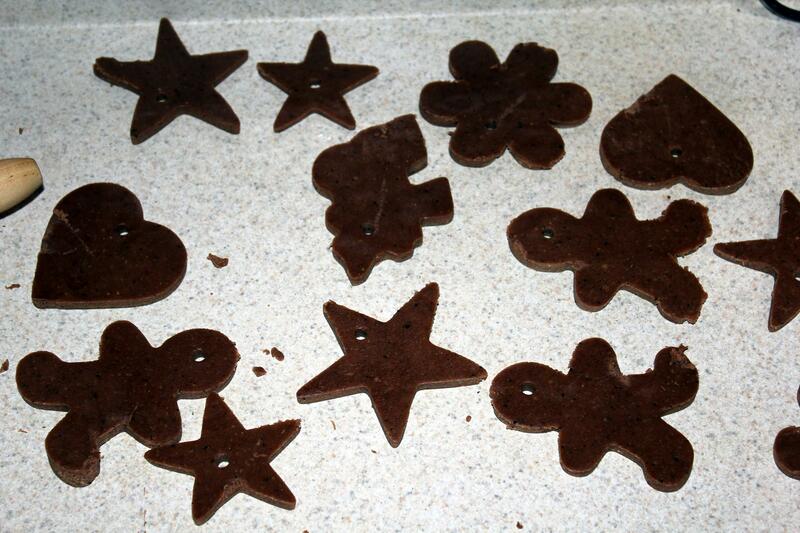 Remove, let them cool off, on a cooling rack. 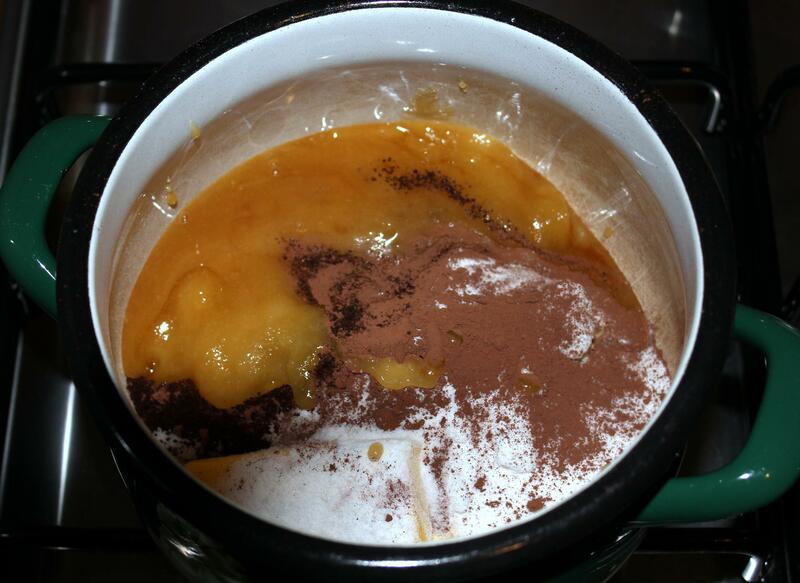 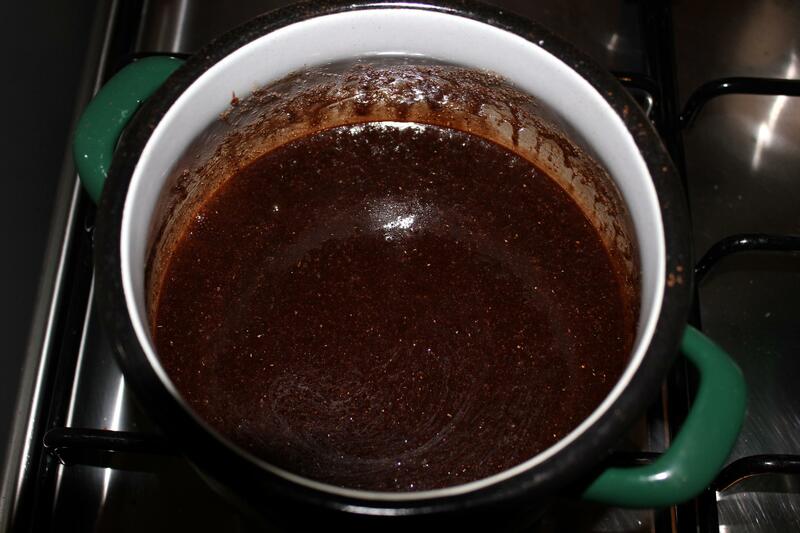 In a pot, combine together a honey, sugar, butter, cocoa, coffee and gingerbread seasoning, dissolved (simmer about 2 minutes then allow to cool off). 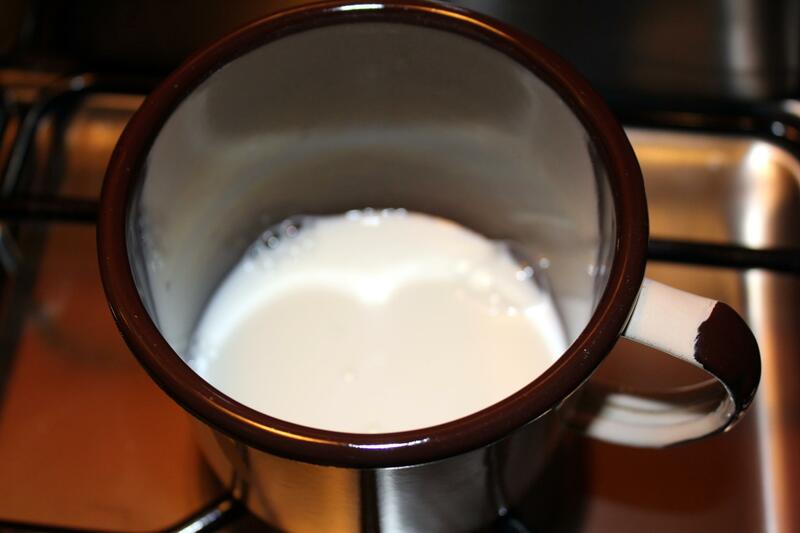 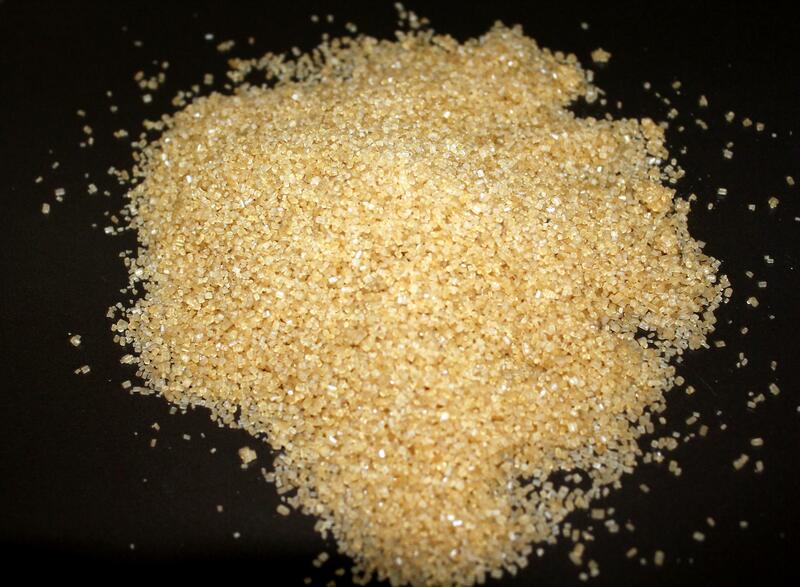 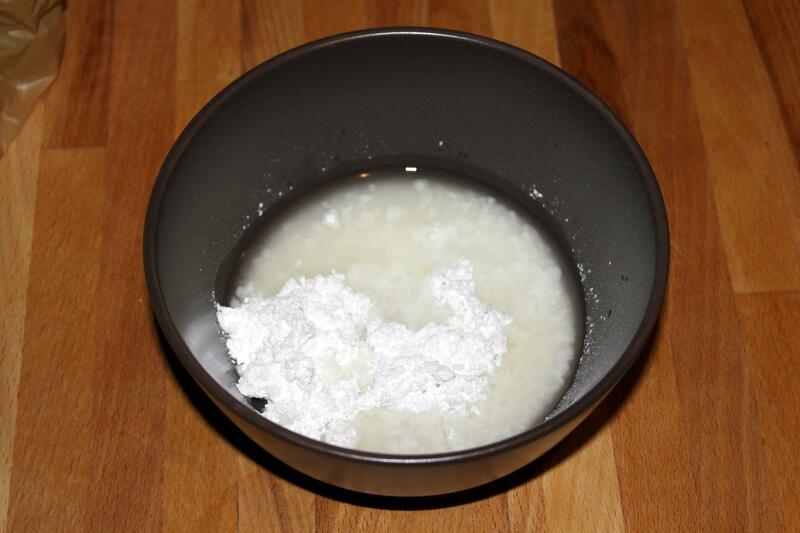 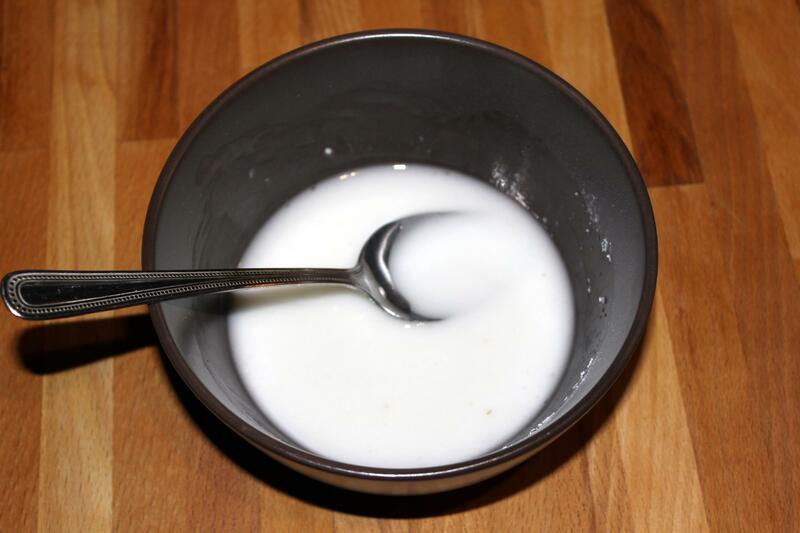 Meanwhile, 2 teaspoons ammonium dissolve in 4 tablespoons of a little warm milk. 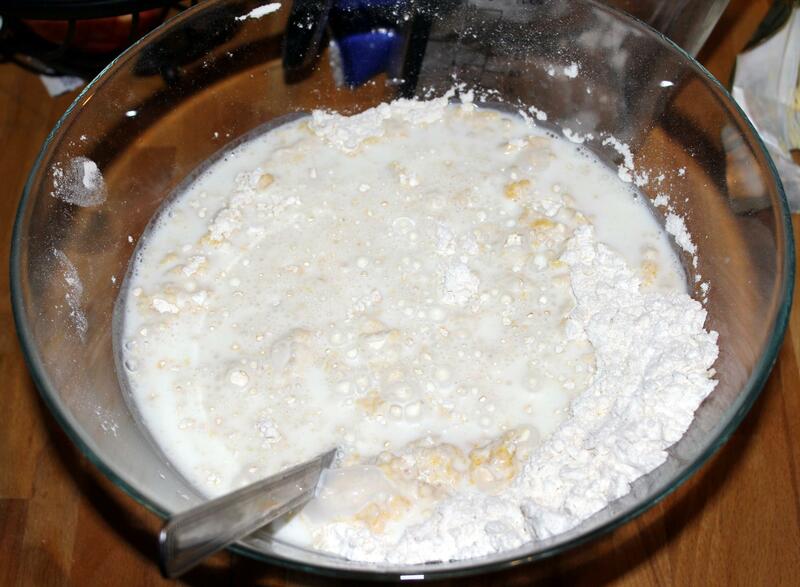 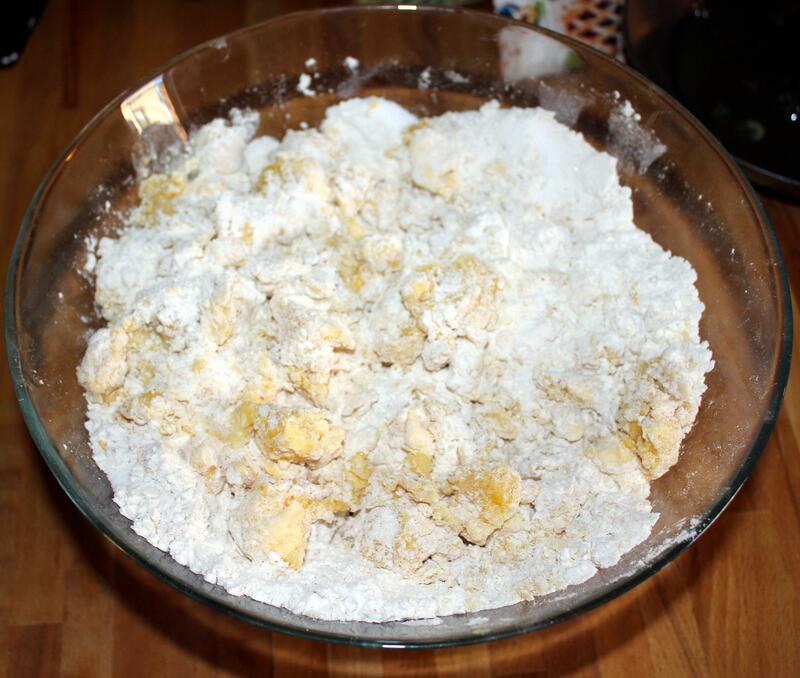 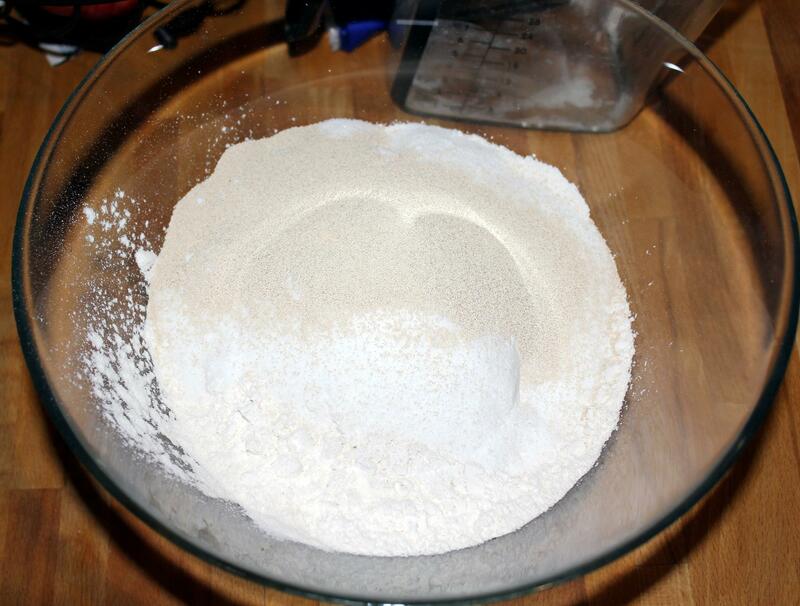 Then, combine the flour with baking powder. 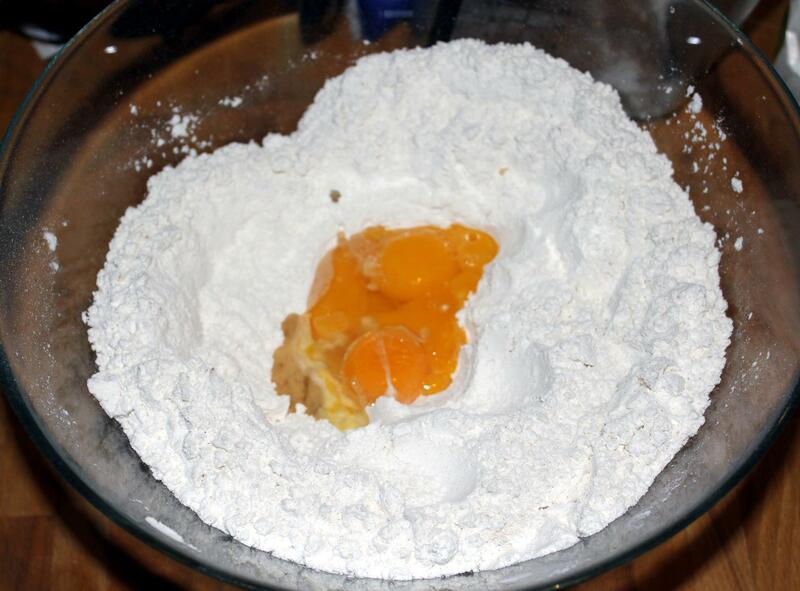 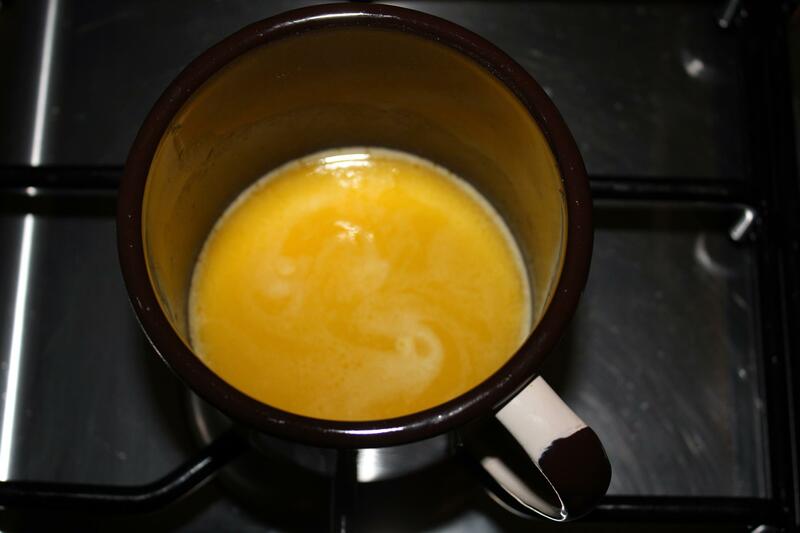 Add yolks, the mixtures and sour cream. 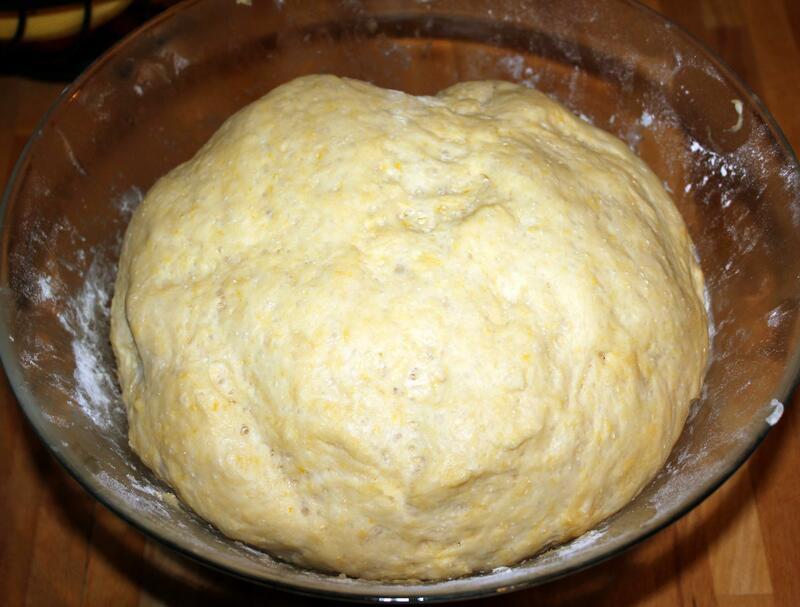 Knead until the dough forms into a ball but not too long. 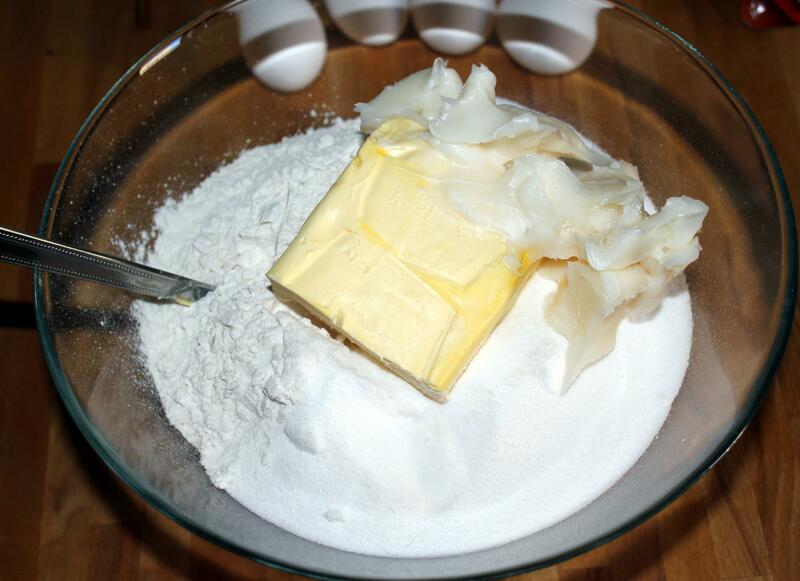 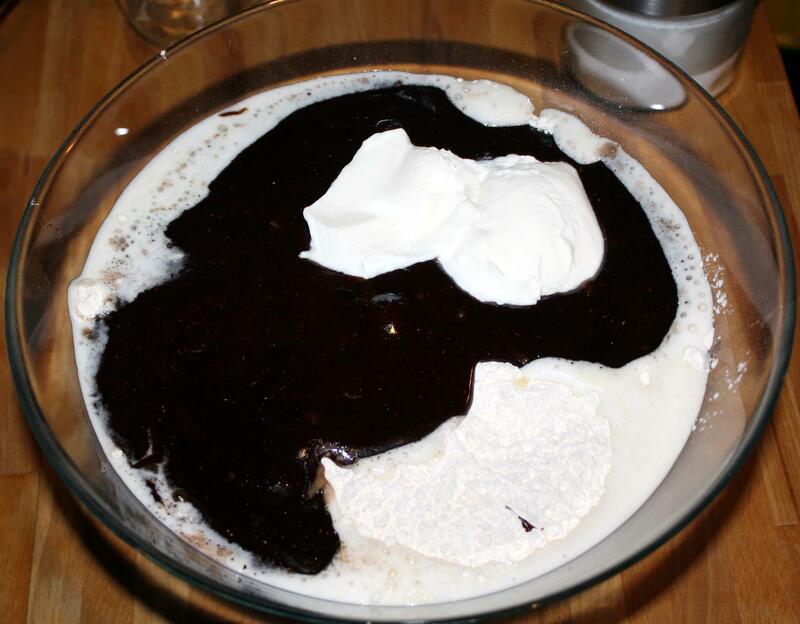 If the dough is too dry, add additional sour cream. 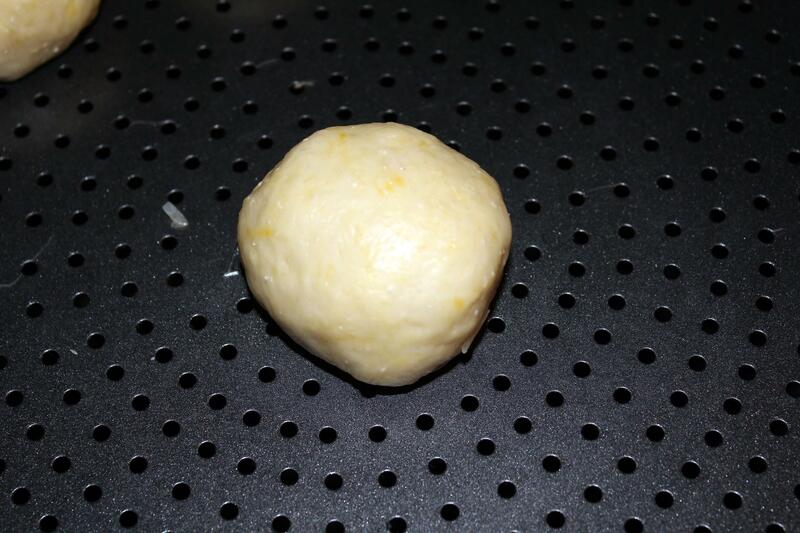 Cover the ball with plastic wrap and let set in the refrigerator, about few hours (I’m always leaving for overnight). 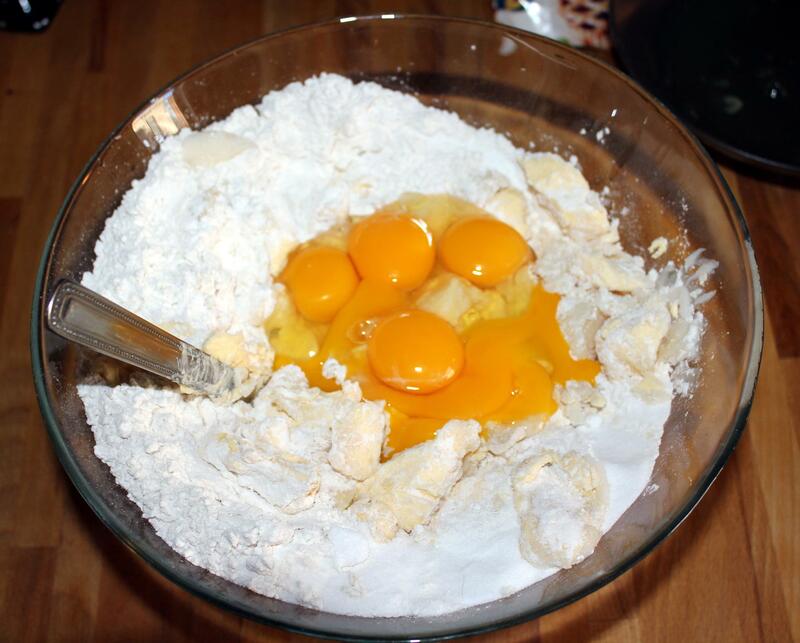 After this time, divide the dough into 3-4 parts. 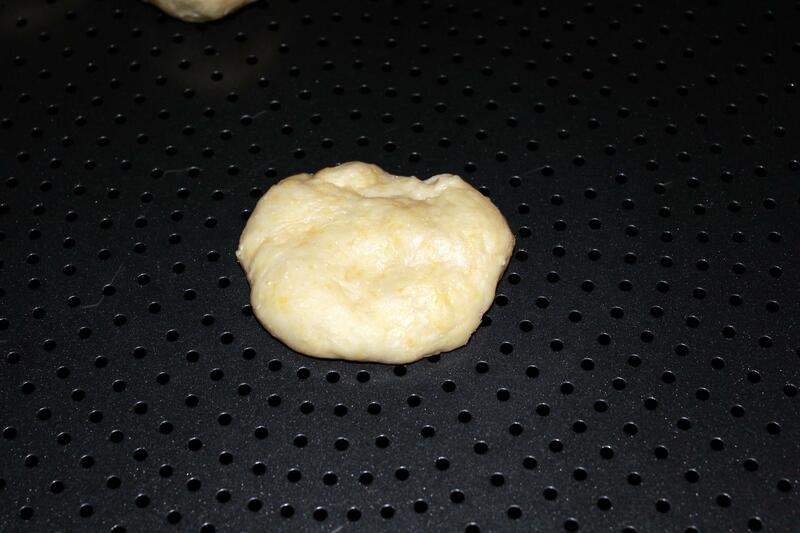 Roll out one part at a time of the dough to a thickness of 4 mm (not thinner), sprinkle a pastry board with a small amount of flour – just enough so the dough would not stick to the pastry board. 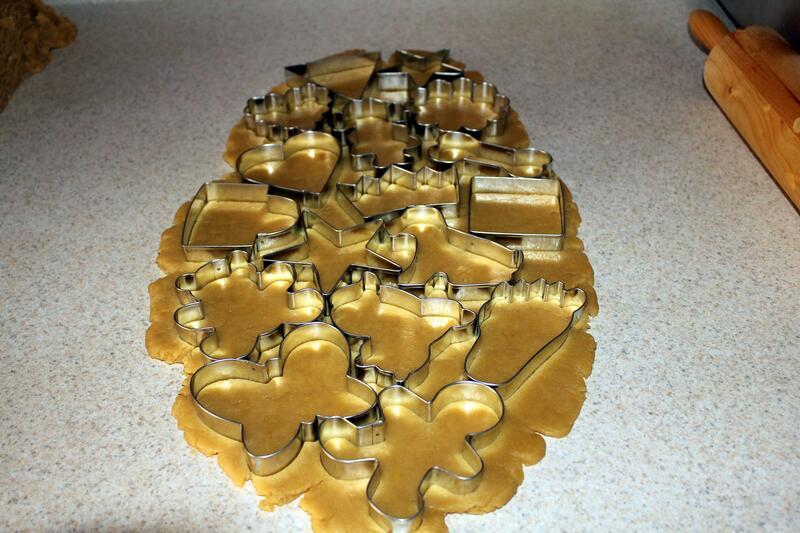 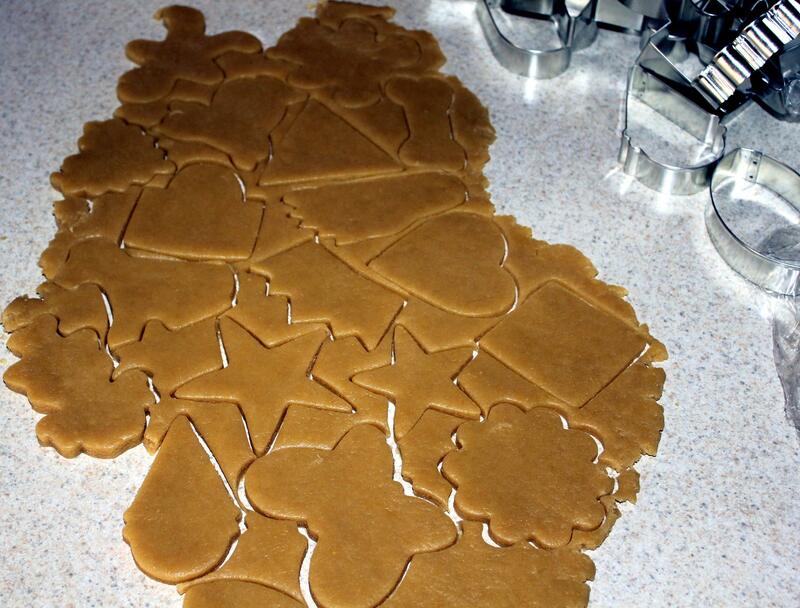 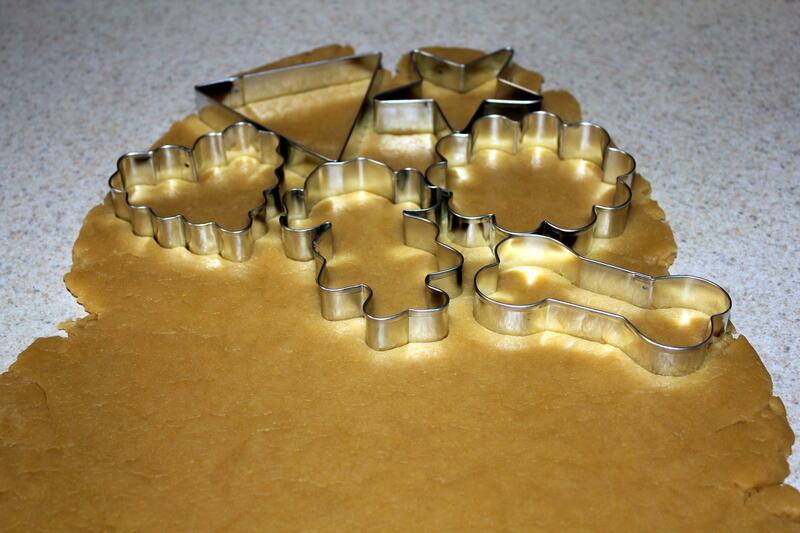 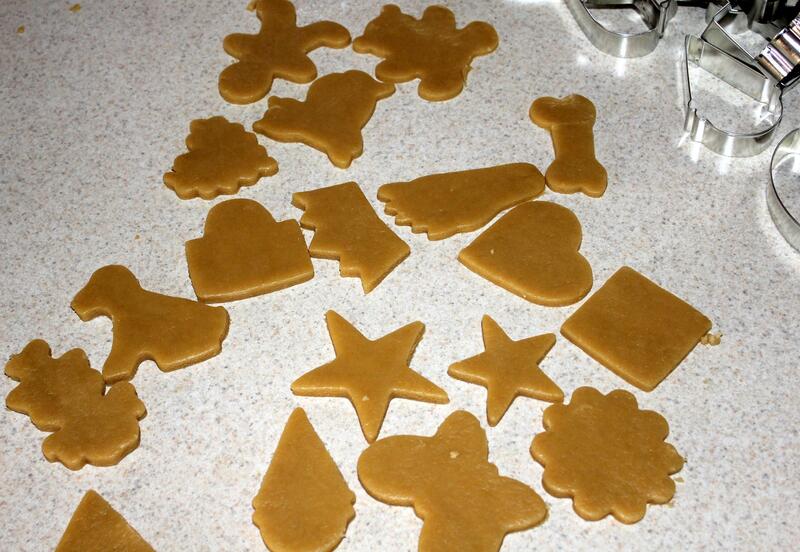 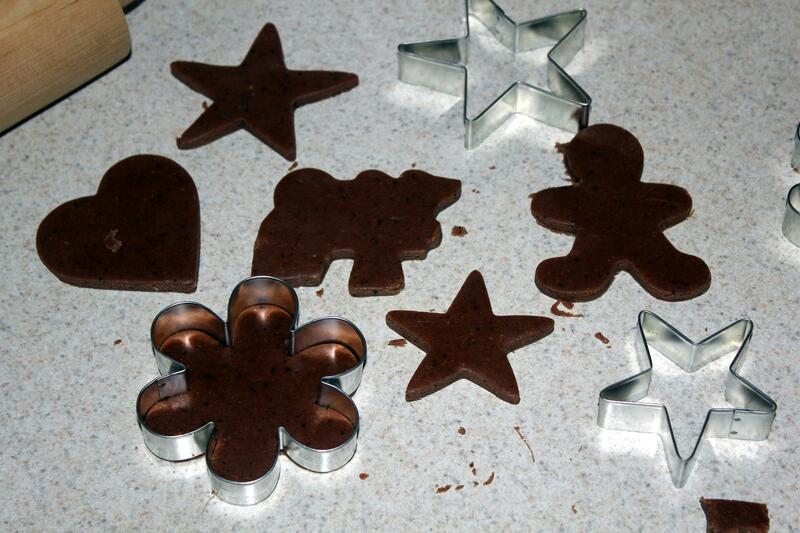 Cut out different shapes of gingerbread. 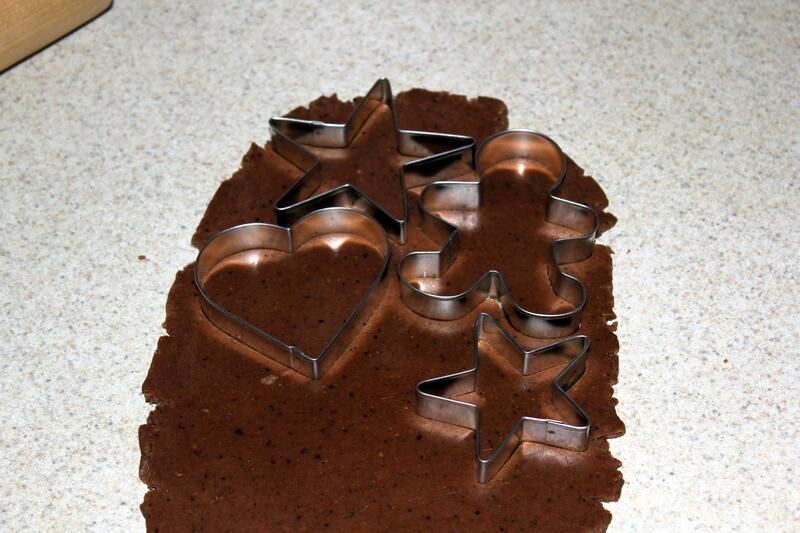 Arrange them on a baking tray lined with baking paper in small increments. 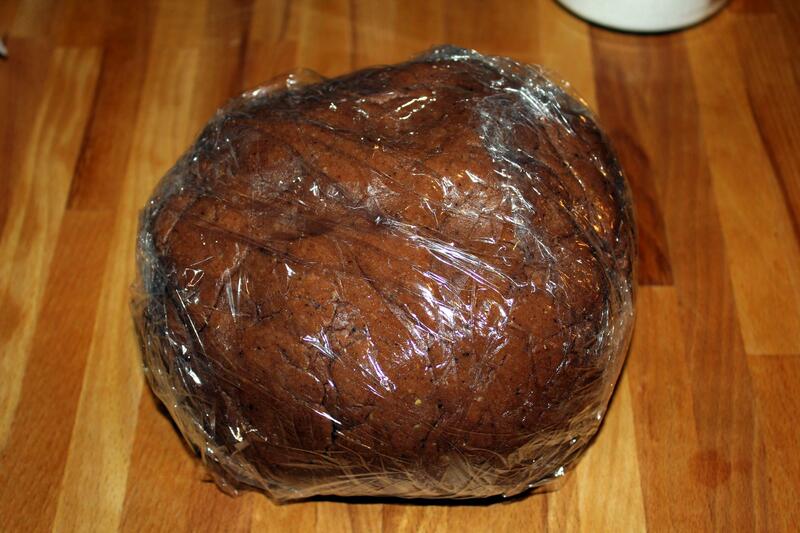 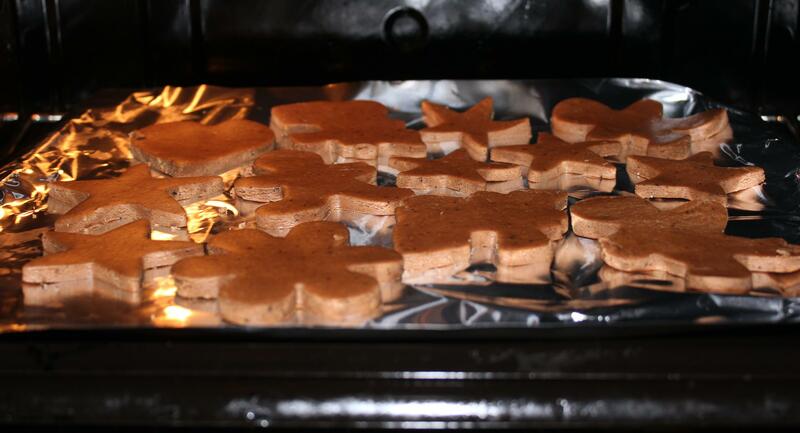 Bake at 356 ° F for about 8 – 10 minutes (time of cooking depends on the size gingerbread, smaller bake even less). 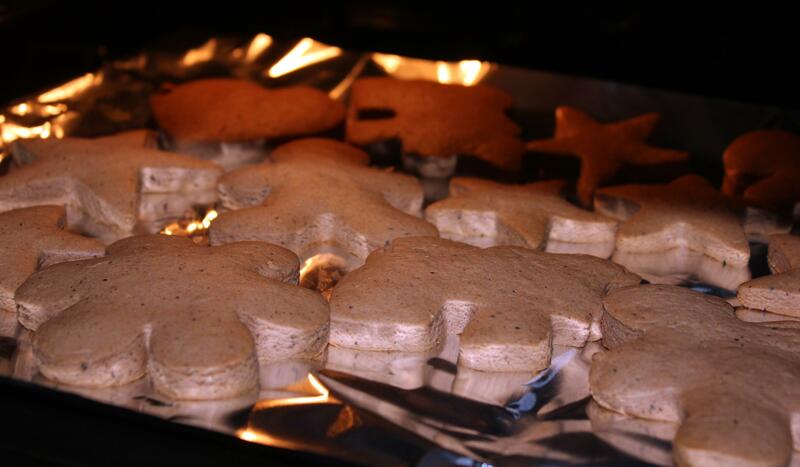 Remove, let them cool off, on a cooling rack. 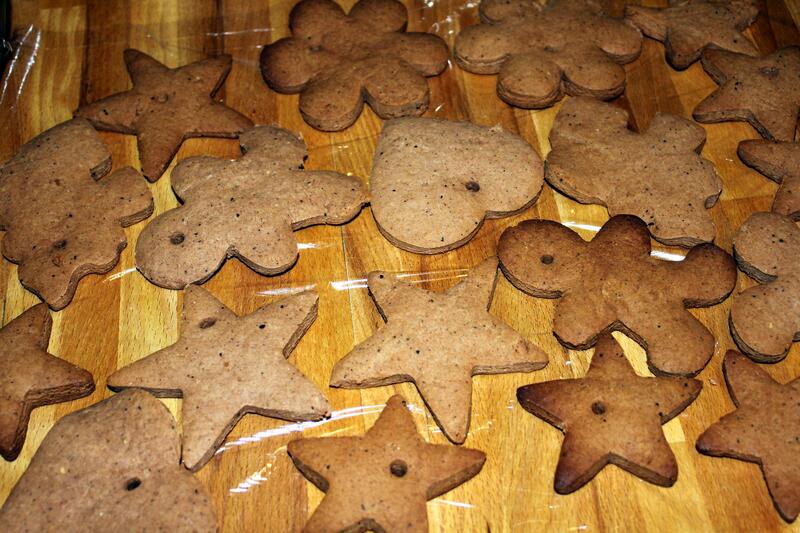 Freely decorate. 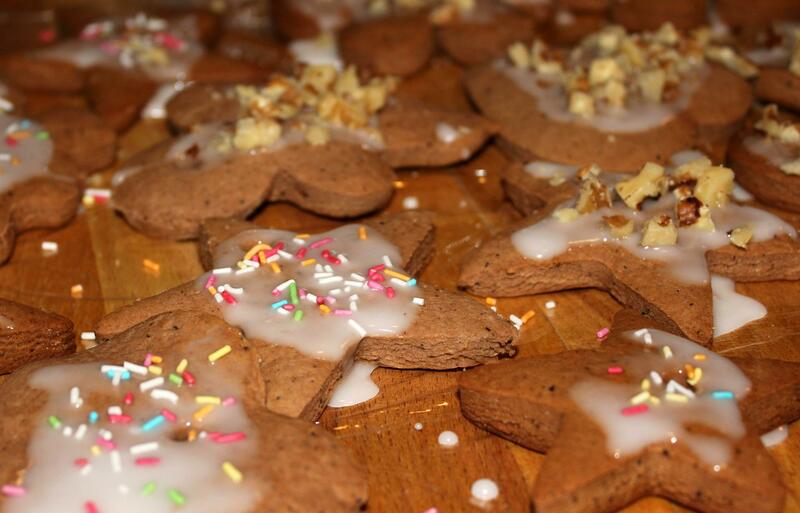 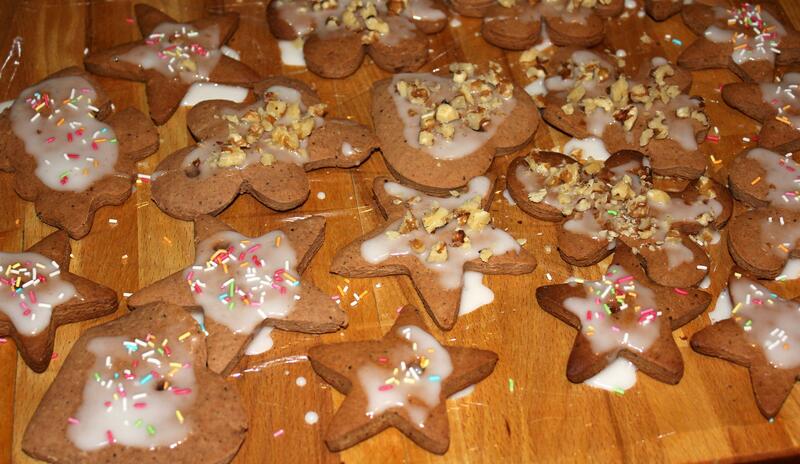 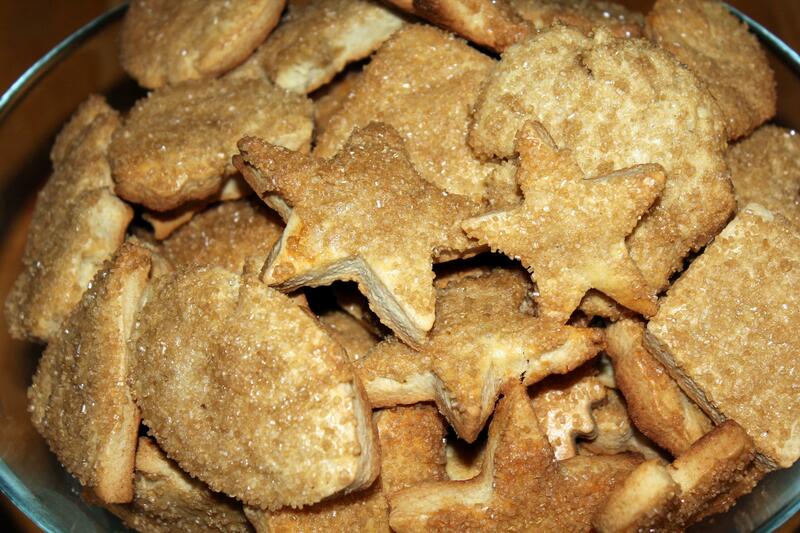 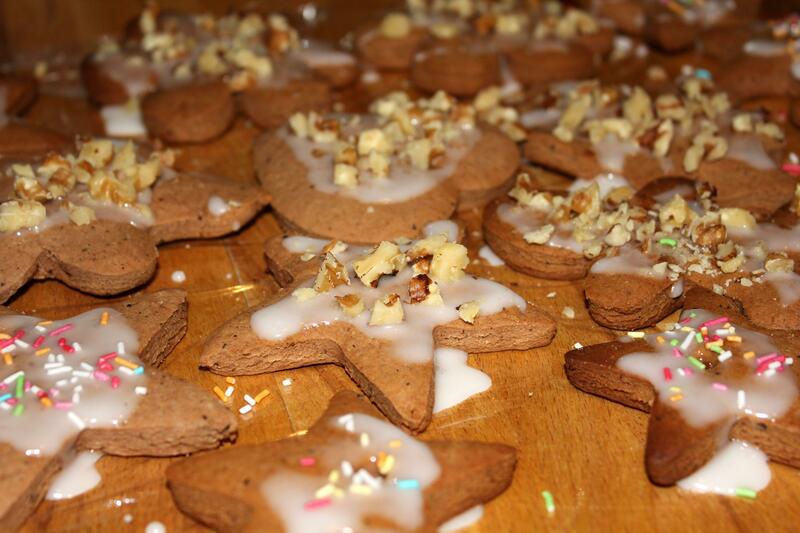 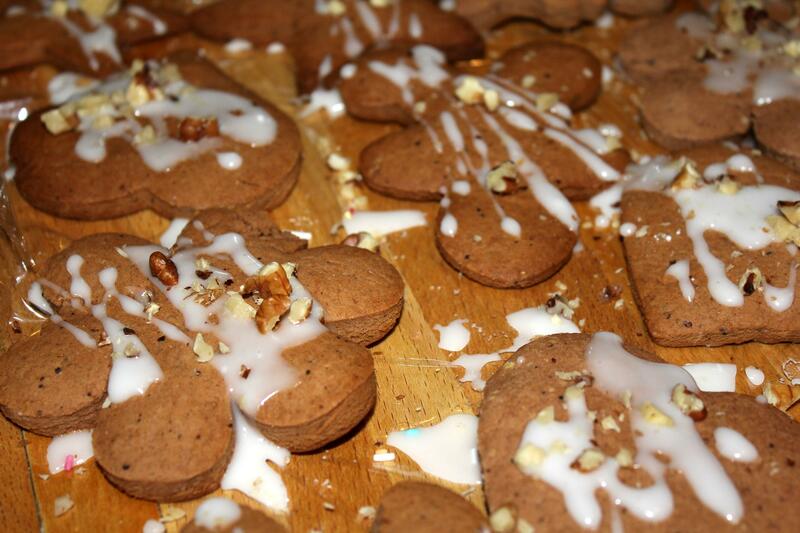 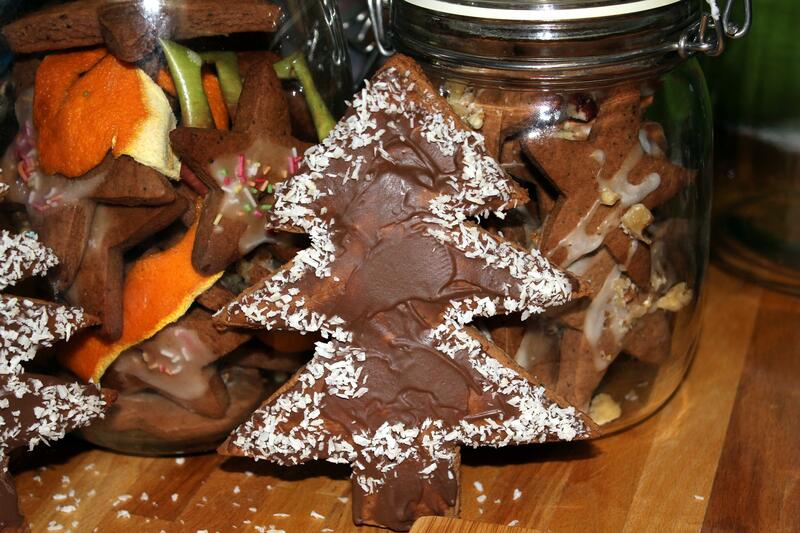 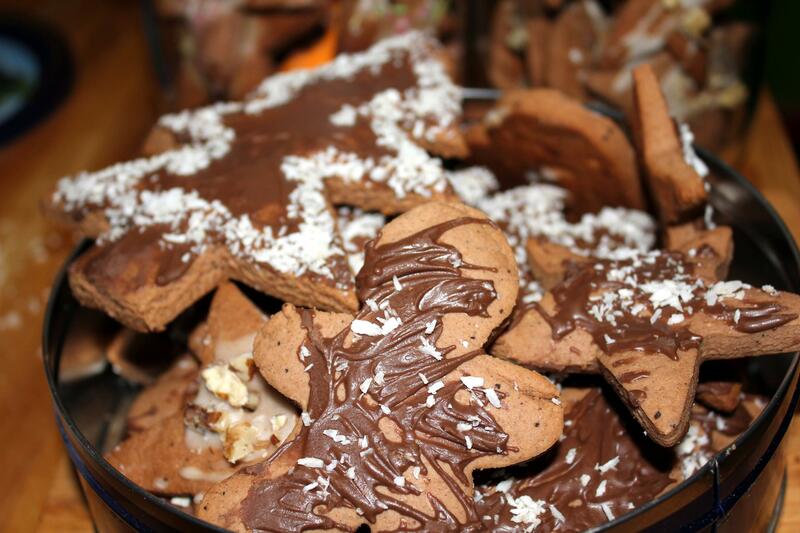 Now, drizzle on our gingerbreads and sprinkle with chopped nuts, raisins or sprinkles. 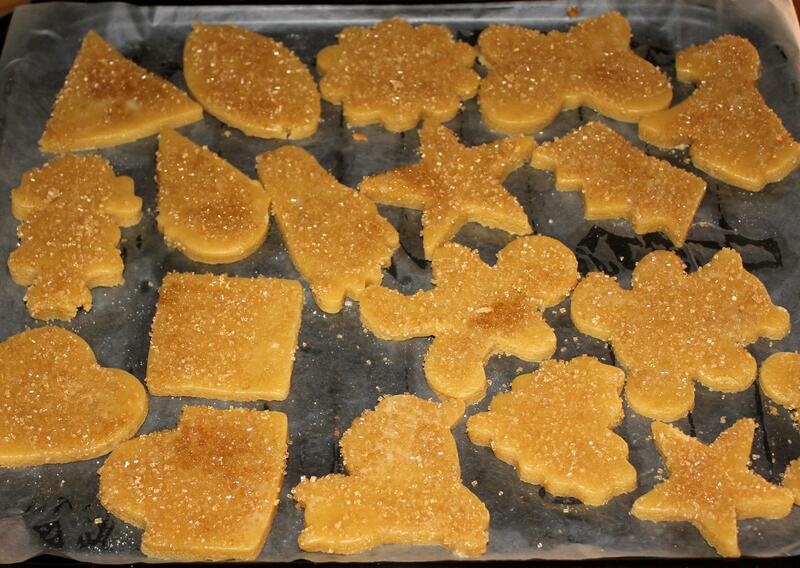 Note: Place cookies in jars or other containers sealed to keep them soft. 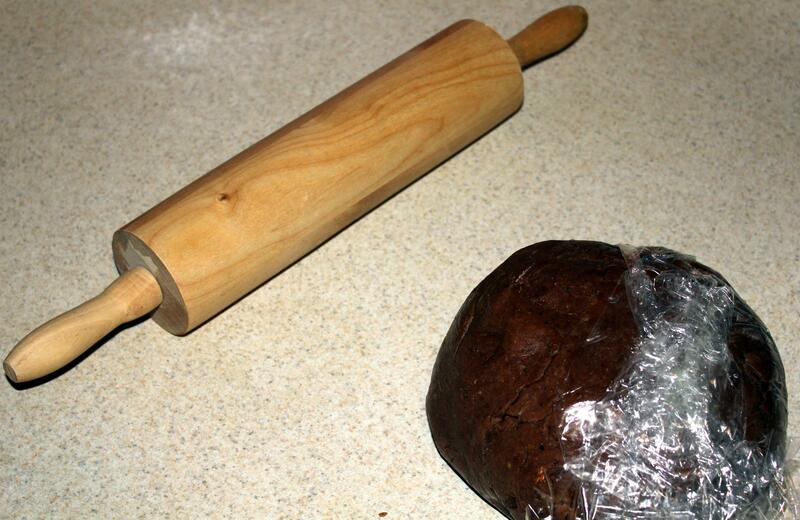 You can keep them for a few weeks. 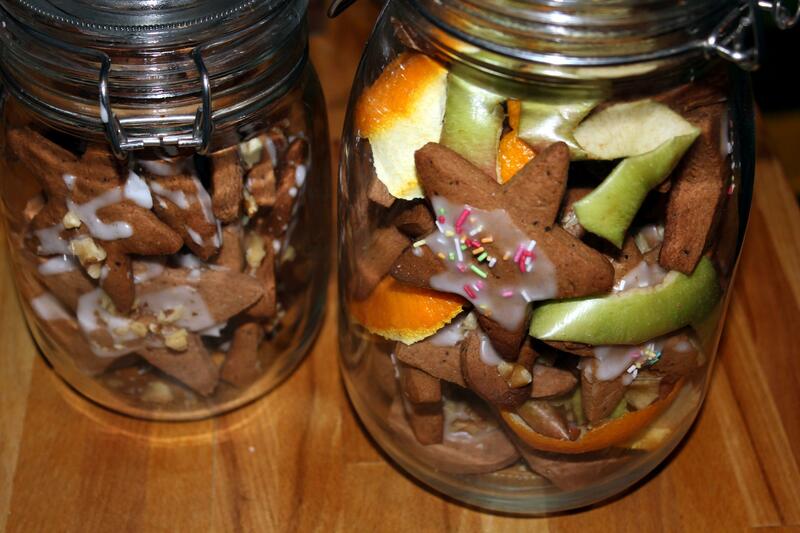 If gingerbread cookies got hard you can add orange or/and apple skin (into jars/containers) in order to make them become soft again.